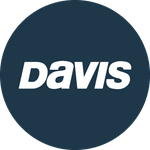 Davis Instruments Support, FAQs and Troubleshooting - Do you ship internationally? All Categories ​>​ FAQ ​>​ General ​>​ Do you ship internationally? We have distributors in many countries throughout the world, and we encourage you to purchase from them. If you are buying a weather product, please try our International Weather Reseller Locator. If you cannot find a reseller in your country, please contact us at sales@davisnet.com for shipments outside USA and Canada. Do you ship to P.O. Box? Do you ship to APO/FPO/DPO Military addresses?